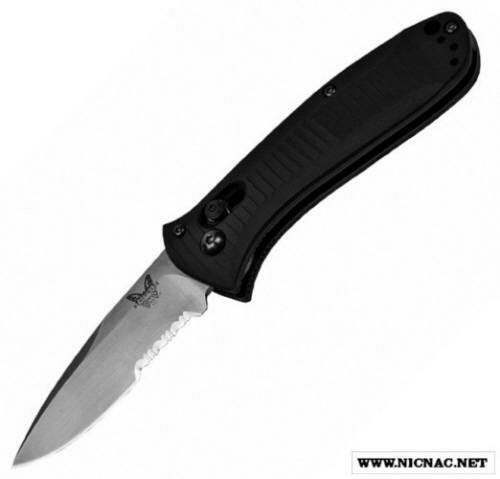 Benchmade 5500S Mini Presidio Automatic Knife Satin Serrated, overall open length 7.12 inches with a 154CM 58-60 RC Drop Point Flat Grind Satin Serrated Blade. Closed it's 4.15 inches. Tip up carry and this Benchmade knife is right or left handed. Made in the USA.